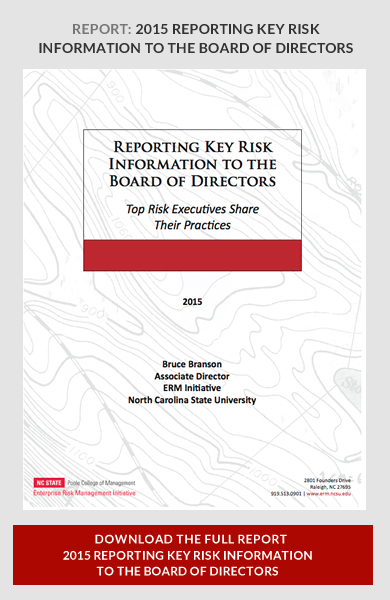 The ERM Initiative in the Poole College of Management at North Carolina State University is pleased to release a new thought paper, “Reporting Key Risk Information to the Board of Directors,” that highlights common practices used by organizations to communicate risk information to the board of directors. 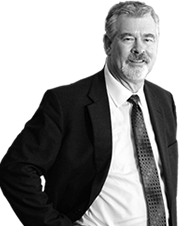 Given the complexity of the global business world today, distilling risk information down to that which is most pertinent for disclosure to the organization’s board of directors can be difficult. 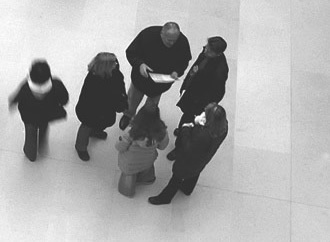 ERM leaders have to walk a fine line that avoids overwhelming the board with too much granular detail about risks without summarizing risks at such a high level that no one is able to really understand the underlying risk concern. This paper illustrates practices used by organizations to report enterprise-level key risk information to their boards of directors based on surveys of ERM leaders in a number of organizations on our ERM Initiative Advisory Board. This report highlights to whom they report risk information, how often that information is updated and when these reports are made, and we describe who is typically responsible for leading the risk discussion with the board of directors. It is our goal that these illustrations will generate ideas that you can use to improve reporting to the board about key risk information.